Everyday dresses in rustic brown shades. The color brown is close to my heart as I love the earthy vibe of it. Being a brown girl, I feel like I could get away wearing any shade of brown and slay the look! Well, whatever the shade of brown is, you can be sure it lends a certain retro aura, a dusty and cozy 70s feel. If you’re one to go berserk over shades of brown in clothing, then you are going to love these dresses! Get ready to radiate an everyday rustic vibe when you decide you’ll be wearing any one of these dresses. Enjoy! The easy breezy midi made of pure viscose. Rendered in a versatile arrow print, over a brown canvas. V-neckline an a button-through dress with a waist sash for definition. A cozy earthy piece for everyday. Wear with sandals, flip flops or your best sneakers, mules or heels and set the tone to your OOTD. Cut in a pretty mini length with an even prettier angel sleeves, the ribbed beauty is a winner. Button details decorate the front as the empire waist begins underneath the bust area for maximum wearability. For something low-key chic and stretchable, here’s a rustic midi you can’t ignore. 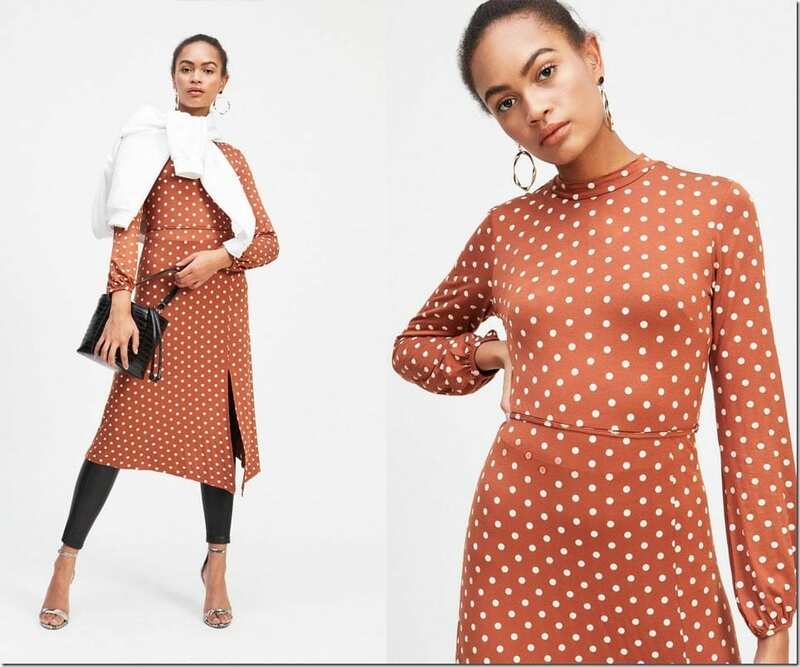 Crafted with a long sleeve style and an all-over spots, the brown midi dress has a soft high neck and a side split for ease of movement. 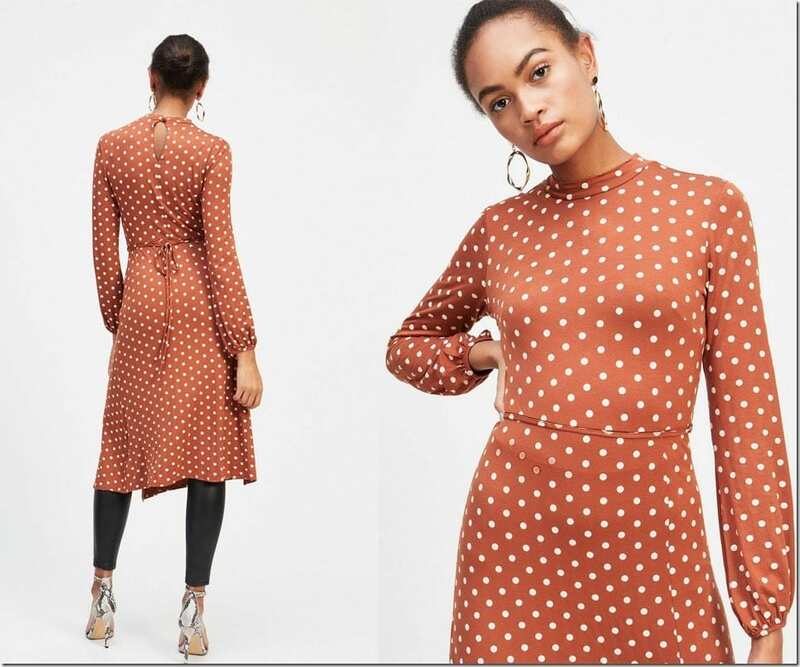 Dots in various sizes over a deep brown background make this a unique everyday midi dress. Long sleeved, v-necked and buttoned through, it is a must-have dress for lovers of whimsical polka dots! Which brown dress style is your favorite? Share below – I’d love to know.